"My Grandmother, Mrs. Imre Zala, meets Finance Minister Győrgy Matolcsy"
It has been a slow month here in blogland. Hungary has been in the news in a big way, and as long time readers know, I tend to avoid discussions of Hungarian politics in this space. You want to hear my opinions about Hungarian politics? Take me out and buy me a few drinks. You will get an earful. But more to the point, other people do it better - check out my blogroll for Eva Balog's Hungarian Spectrum, or the newer Hungarian Contrarian and Andor Jakab's Blog. Paul Krugman has been examining Hungary's antic relationship with its new constitution via a series excellent posts by Princeton Proffessor of constitutional law Kim Scheppele. The Economist, Financial Times, and Washington Post have also kept our addled one-Party rulers in their sights. When you read the NY Times pieces, the Economist, or any of the other newspapers on stories about hungary, please do not fail to read the comments sections.They are infested by the uniquely Hungarian version of internet troll. Now, Hungary is not the only country that pays PR hacks to troll for stories and 'correct' them in the comment sections. But it is fun to watch the language-challenged Ministry of Propaganda hacks try and take down a Krugman or a Princeton Law prof by labeling them a "post-commie" or attacking them for causing Hungary's serious economic ills. Because in Hungary, propaganda is very big business. FIDESZ, the ruling party, is nothing so much as a gigantic PR machine, driving home its talking points wit a grim determination and a surprising lack of ideology. FIDESZ prospered in opposition due to its skillful use of public relations firms and advisors to drive a wedge into the Hungarian public opinion, dividing every conceivable issue as one of "Us vs. Them." It is all done with mirrors. Here is a secret: public relations is the enemy of democracy, folks. It was invented by Edward Bernays, a cousin of Sigmund Freud who emigrated to the US in 1892 from Austria. In his main work "Propaganda" in 1928 Bernays argued that the manipulation of public opinion was a necessary part of democracy: "The conscious and intelligent manipulation of the organized habits and opinions of the masses is an important element in democratic society. Those who manipulate this unseen mechanism of society constitute an invisible government which is the true ruling power of our country. ...We are governed, our minds are molded, our tastes formed, our ideas suggested, largely by men we have never heard of. This is a logical result of the way in which our democratic society is organized." Bernays was behind PR campaigns that convinced the American public that smoking was acceptable for women, that bacon and eggs was a healthy breakfast, that Calvin Coolidge was a nice guy, and that ballet was fun to watch. But beneath it all he was aware of the power that comes from lies. "PR must create news." 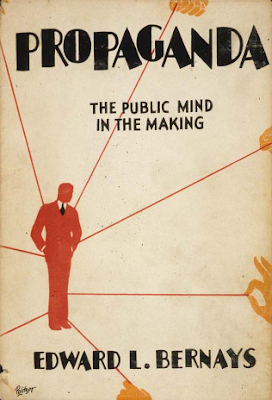 wrote Bernays in his 1923 book 'Crystalizing Public Opinion' "in order to appeal to the instincts and fundamental emotions of the public." If you have a few hours and want to spend them watching a highly disturbing BBC documentary about Bernays and his work, I highly recommend the three hour long "Century of the Self" on Youtube. Yes, indeed, it is all done with mirrors... no hay banda...no hay banda...Anyway, the reason I delve this far into politics at all was that I took a peek at my blog statistics and noticed a serious jump in readership in the last few weeks. Was it because of a sudden leap in interest in Hungarian politics? Looking through some of the clicks I found out that it was people searching for the name "Solinsky." Something even more silly and ignorant was to blame. The American Tea Party! 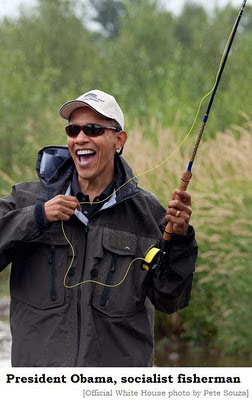 Back during the 2008 presidential elections Sarah Palin accused Barak Obama of following the teachings of "Solinsky" - which was her addled attempt at conceptualizing the name of social activist Saul Alinsky. I posted a story about that. Tea Partiers were marching around with bumper stickers printed with the slogan "Solinsky=Communism." 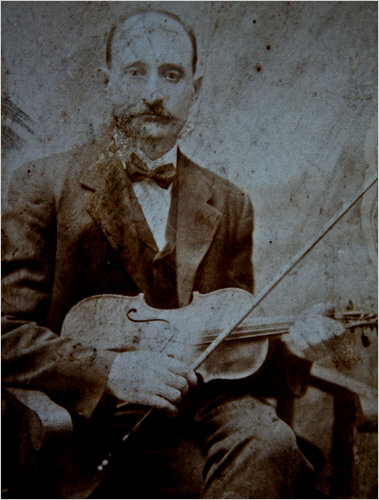 Josef Solinsky, however, was the name of a Klezmer violinist who recorded several rare Jewish fiddle pieces on gramophone records back in the pre-World War One era, all of which have become basic to the recreated style of traditional klezmer fiddle.